This year's gingerbread house, a photo by The Bacher Family on Flickr. There are constants to every Christmas: ornaments on the tree... Christmas lights... gingerbread houses... and, of course, photographs of all of them! 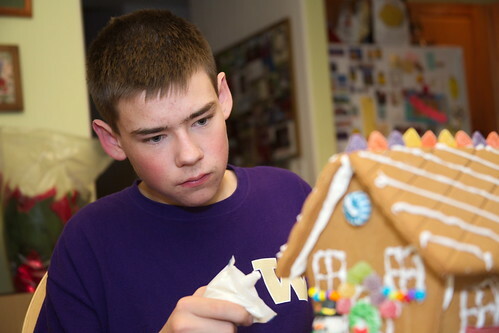 Here's David building this year's gingerbread house.